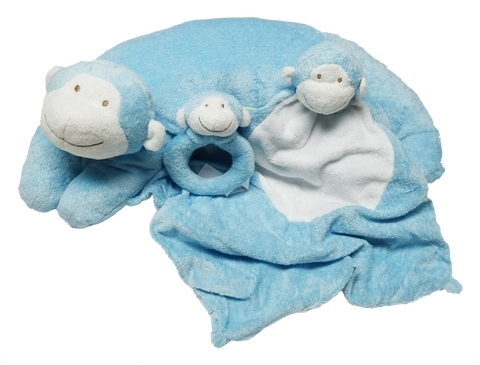 The ANGEL DEAR™ 3 Piece Blue Monkey Set consists of a Curved Pillow, a Small Blankie and a Soft Rattle. 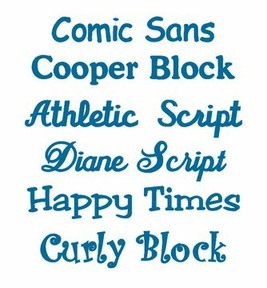 They are made of dark aqua blue and white cashmere soft velour fabric. The face details are all embroidered. 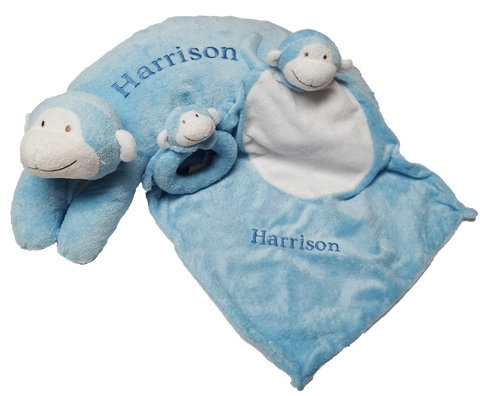 The pillow measures 20" long by 8" wide by 4" thick. The cover comes off for washing.